How relevant are the classic theories of agrarian change in the contemporary context? 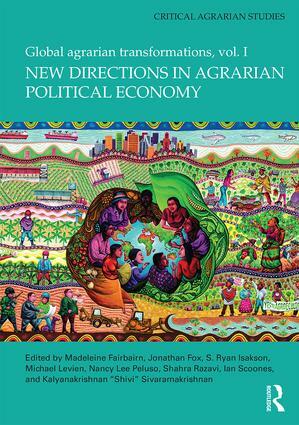 This volume explores this question by focusing upon the defining features of agrarian transformation in the 21st century: the financialization of food and agriculture, the blurring of rural and urban livelihoods through migration and other economic activities, forest transition, climate change, rural indebtedness, the co-evolution of social policy and moral economies, and changing property relations. Combined, the eleven contributions to this collection provide a broad overview of agrarian studies over the past four decades and identify the contemporary frontiers of agrarian political economy. In this path-breaking collection, the authors show how new iterations of long evident processes continue to catch peasants and smallholders in the crosshairs of crises and how many manage to face these challenges, developing new sources and sites of livelihood production. This volume was published as part one of the special double issue celebrating the 40th anniversary of the Journal of Peasant Studies.